The ASA/ACRM Young Investigator Award recognizes an individual professional and ACRM member who demonstrates drive and commitment to furthering rehabilitation research in the area of post-stroke care, measurement, and/or stroke patient outcomes. This award is open to young investigators <5 years post training. The award comes with a plaque and a $500 award. 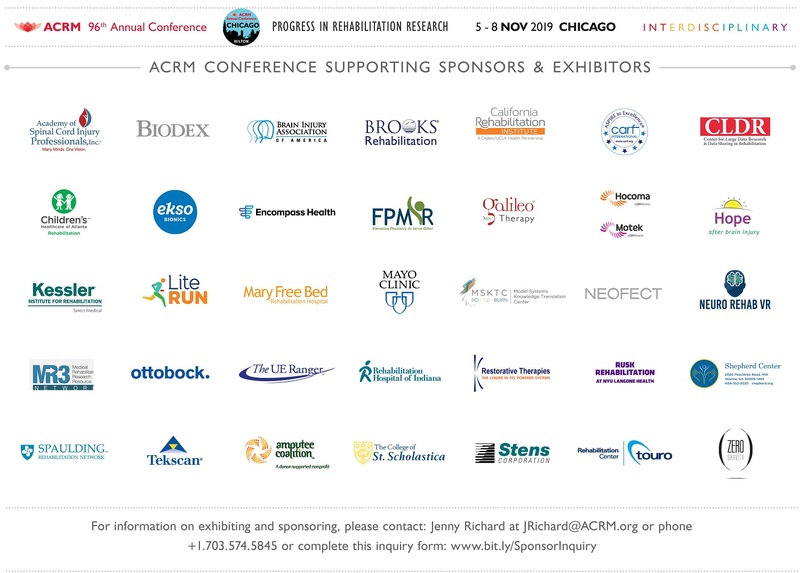 The recipient will also be expected to present his/her work during the ACRM annual conference. ACRM | American Congress of Rehabilitation Medicine and the American Stroke Association share a dedication to advancing post-acute care, advocacy, and scientific efforts for survivors of stroke and their families. This award recognizes a clinician or researcher (individual or group) (e.g., a care team, a research team, a clinical group) who has advanced the field through their scientific and/or clinical efforts in the area of post-acute stroke. The Awards Committee and organizations are especially interested in nominees whose work has directly affected clinical care and/or who have successfully translated research or pre-clinical models to successful clinical application.